The 2017 Softball Far North Qld Inc AGM will be held on Saturday 29 July at 3:00pm at Leichardt Junior Soccer Clubhouse, Jeff Pezzutti Park, Windarra Street, Woree. Voting members shall forward any notices of motion and items for inclusion on the agenda along with any Life Member or Award nominations. Please refer to the attached descriptions. For further information regarding the duties and responsibilities for each position, please refer to the attached descriptions. SFNQ are looking forward to an exciting season in 2017-2018. The Management Committee of our Association have implemented a number of Sub-Committees. Some of which will include Canteen, Coaching, Events, Fixtures, Funding, Fundraising, Grounds, Infrastructure, Marketing & Publicity, Representative, Scoring, Sponsorship, Umpiring, and Volunteering. Many of the Sub Committees can be volunteers, so spread the word to your team/club members, family and associates. We also have new positions of Bar Manager, Volunteer Coordinator and Uniform Co-ordinator. With Softball FNQ recently reaching Homeplate Status, with Softball Australia, and being 5th in Australia for governance it is a must that the new committees and Policies are implemented for us to continue to grow. More details of such will be presented a short while after the AGM. In the interim, please forward your expression of interest for Sub-Committee or Volunteer positions. 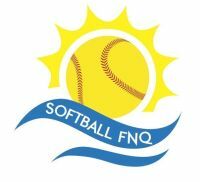 Closing date for any Motions and Nominations to be received by SFNQ Secretary cairnssoftball@hotmail.com no later than 5.00pm Thursday 20th July 2017.